Then Richard Curtis wrote some big blockbuster romantic comedies that I love. Love Actually and Notting Hill are my two favorites. Even my husband, John, likes all three of these movies because they are smart and funny and have great lines of dialogue that you can’t help quoting later. I love these movies so much that I’ll even watch them on Netflix, even though we own all three on DVD. And oh, Netflix, how I love you. Let me count the ways. That’s where I first watched The Decoy Bride with the hilarious Kelly Macdonald and the awesome David Tennant. I’ve watched that movie sooo many times! I bought it on Blu-ray because I wanted to make sure I could watch it in high quality forever. But then I had to buy it on DVD, too, because that’s the only way I could watch it on my computer. I’ve never done that before, buying more than one copy! And what’s my go-to movie for sick days? The Family Man. Tea Leoni and Nicolas Cage are absolutely adorable, and those kids! And the best friends! The movie makes me laugh every single time I watch it. I love romantic comedies. I love reading them, watching them, writing them, talking about them. Like I said, they’re my medicine for bad days. And lately, I’ve had truckloads of bad days. Thank God for romantic comedy writers because I found some new medicine two weeks ago. I’d seen on Facebook that my friend Sean Gaffney (same screenwriting program I was in) had written a new movie called In-Lawfully Yours. I guess I’m a bad friend for not paying very good attention because I thought it was coming out in the theater this fall, but it came out on Netflix! I was scrolling through the New Releases and saw the title and thought, how funny, Sean’s movie has that same title. And hey, the movie poster looks kind of – hey, that is Sean’s movie! LOL! I was having a bad day so I watched it during lunch. It is soooo adorable! The hero and heroine really played off each other so well! And the characters seemed like people I’d probably know, people I’d want to be friends with if they were real, not like pretend movie characters. I felt so much better after watching it, just like medicine. I wanted to watch it again right away, but I controlled myself. I waited until lunch the following day. Aw, wow, it was just as funny the second time. It had been a stressful week, so I turned it on again at lunch for the third day in a row. Still had me laughing and smiling! If you like rom-com’s, you’ve got to watch this movie! In addition to feeling better, watching a movie several times helps you consciously and unconsciously work through what you like about it, and why. You start thinking about what you don’t like and why. And if you’re a writer, you start going over your own characters and asking yourself how they can become better after seeing some other amazing fictional characters on screen or in a book. One thing about the writing in In-Lawfully Yours. If they hadn’t gotten the right actors, it could’ve been a little dopey. That’s the risk with humor – it’s got to be the right kind, in the right amount, for the right audience. Of course, that’s the risk with movies in general. Wrong actor, bad movie. Right group of actors, amazing movie! What stories do you read or watch over and over again? What are you learning from them? Are you letting those favorites push you to become a better writer? Give it some thought. This entry was posted in Books and Movies, Writing and tagged great movies, In-Lawfully Yours, Kitty Bucholtz, Little Miss Lovesick, Sean Gaffney on October 8, 2016 by Kitty. I’ve been soo excited to finally unveil the new cover for Little Miss Lovesick – and here it is! Leave me a comment and tell me what you think. I’d love to hear from you! This entry was posted in Books and Movies, Writing and tagged ebooks, Kitty Bucholtz, Little Miss Lovesick on September 18, 2014 by Kitty. Most writers are curious about what is and isn’t working for other writers when it comes to selling books. I’m grateful for what others have been willing to share, so it’s only fair to share in return. Even though my results are a bit embarrassing. I’ve only bought ads three times. I bought an ad last year with The Wordsmith Journal Magazine (online) for Little Miss Lovesick. After one month, I had zero new sales. Ouch. In August, while Unexpected Superhero was enrolled in the KDP Select program (meaning it was only for sale on Amazon for the first 90 days), I took advantage of the program’s free days option and made the book free for five days in a row at the end of a conference I was attending. I also bought an ad from BookBub that appeared on the first day of the promotion. There were a whopping 17,561 free downloads during those five days! Over 10,000 copies were downloaded the first day, which I attribute primarily to the BookBub ad. During the next two weeks, I sold only 24 more copies when the book went off sale (back to $3.99). Then the sales dropped back to the 0-3 per week average that has been more common for my books so far. I dropped the price from $2.99 to 99 cents a week before the promo with Smashwords so it would be 99 cents at the other outlets by the day of the promo. I decreased the price on Amazon two days before, and it went into effect the day before. I saw that I sold one copy on Amazon a day or two before the promotion, then two more copies total during the weekend of the promotion and ad. That’s it – 3 sales. At the high end of “usual” for me. Little Miss Lovesick got a new (second) cover a few months ago, but it’s barely changed the sales. Unexpected Superhero got a new (second) cover at the end of March, too early to tell if it has affected sales yet. I took out another eBookSoda ad (the free ad that went to $5 when I did it this time) for Sunday, May 4 (my third choice date, Fantasy category, same as last year’s BookBub ad). I’ll leave Superhero at its current $2.99 price and see if anything happens when it’s not on sale but advertised. I’ll keep you updated so you get a well-rounded view of self-publishing and advertising. (It’s less embarrassing to write about your successes, so there are a lot more of those stories out there.) It would appear that my experience underscores what other successful writers have said about success coming after you have several books out. Unfortunately, “life” has thrown a wrench in making that happen soon, but as the Brits (used to) say, Keep Calm and Carry On. This entry was posted in Books and Movies, Writing and tagged advertising and promotion, books on sale, Kitty Bucholtz, Little Miss Lovesick, self-publishing, Superhero in the Making, Unexpected Superhero on April 9, 2014 by Kitty. One Day Sale on 20 Romance Novels – Only 99 Cents Each! I was thrilled to be invited to join a group of friends who wanted to do a fun cross-promotion for our books. For one day, today, all of our books – all in various sub-genres of romance – will be available on Amazon for only 99 cents! Yay! If you like my books, you’ll find several in this list you would enjoy. 🙂 And if you’re reading this after Friday, my book Little Miss Lovesick (and perhaps some of the others) will still be on sale through the weekend. Plus, I’ve made Lovesick 99 cents across all retailers, so you can get it for a buck on Barnes & Noble or iTunes or anywhere you like to buy ebooks! If you’re on Twitter or Facebook or other places, would you mind passing this information along? I’d love to feel like I helped my friends find new fans. 😀 Thanks a million! 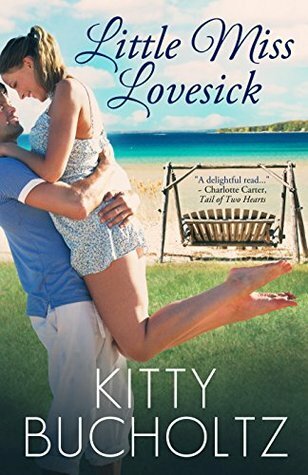 This entry was posted in Books and Movies, Writing and tagged books on sale, ebooks, great books, Kitty Bucholtz, Little Miss Lovesick on April 4, 2014 by Kitty.